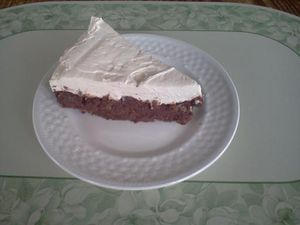 1-ounce square of unsweetened baking chocolate -- melted mixed with butter set aside. Place in greased springform pan bake 15 minutes. Let cool. Mix with mixer till smooth, fold in heavy whipping cream spoonfuls at a time till smooth. 4 drops liquid splenda which is the equivalent of 1 1/2 tsp per drop. Fantastic but definitely something one may struggle with portion control. Would be great to take to a party. 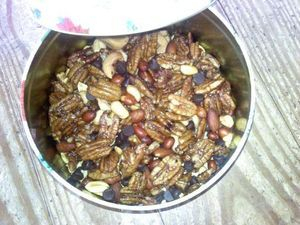 I used a 6 oz bag of pecans halves, 1/2 a 12 oz can of mixed nuts, and 1/2 bag of Hershey s/f chocolate chips. 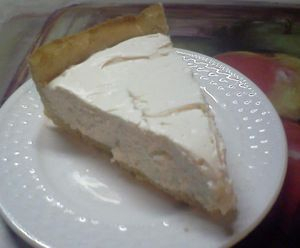 Edited to add: My husband didn't like the coconut flour pie crust for a cheesecake. So I changed the crust I make now. Add all ingredients and with a mixer mix till smooth on high. Drop by spoonfuls the heavy whipping cream blending on low till mixed. Pour into prepared pie crust and chill before eating. Taste- and texture-wise, these fall somewhere in between true doughnuts and funnel cakes. They cook very fast, so make sure you have everything on hand! Heat about 1 inch of oil in a heavy skillet until it's hot enough for frying. While the oil heats, beat the egg lightly with the melted butter, then add the Splenda, protein powder, and vanilla. Whisk together until all the lumps are pretty much broken up, then let it rest a minute or two and whisk a bit more (batter will still have a grainy look to it, but that's fine). 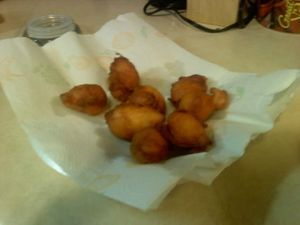 Using a large tablespoon or serving spoon, drop the batter by large tablespoonfuls into the hot oil in batches of 4. Fry until bottoms are golden-brown, which will only take a few seconds, then flip. Drain on paper towels, then sprinkle with Splenda and cinnamon to taste and serve hot.